The popularity and beauty of glass doors, windows, walls and cubicles is undisputed. Yet, care must be taken that glass applications demand a special type of hardware. 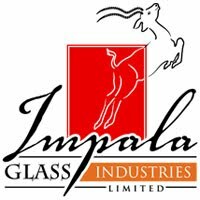 Impala Glass Industries, Nairobi, Kenya, apart from its internationally reputed glass products, takes special pride in its range of state-of-the-art, unobtrusive and functional glass and patch fittings for its series of glass doors, walls, partitions, cubicles and windows. The Impala glass hardware is incorporated in a manner which does not take away the focus from the beauty of the glass assembly yet provides security, ease of operationand durability. Appreciated by architects and designers because they suit every building design and due to its versatility in aluminum, wood and metal doors and frames, Impala Glass Industries’ collection of door controls, hardware for manual sliding doors, revolving doors, operable partitions, swinging door operators and automatic and sliding doors with self-learning microprocessor controls offer flexibility, security, safety and aesthetics. Impala Glass Industries, Nairobi, also offers top, bottom, over panel, corner and center patch fittings for tempered glass assemblies. Fashioned from quality materials, these productswith its appealing finish, stainless steel cover, aluminum alloy base bodies and masterful workmanship ensure years of reliability. Impala’s pulls and handles are the cherry on top of a beautifully sculpted glass door and its locks and key systems will give every building unmatched security. Here’s beauty and brains like never before. Log onto impala.co.ke for a one-stop solution to all your glass product and glass hardware requirements.